Vicomte de Bruillois, seigneur de Salignac, Roques, Villeton, Tonneins et Saint-Macaire. 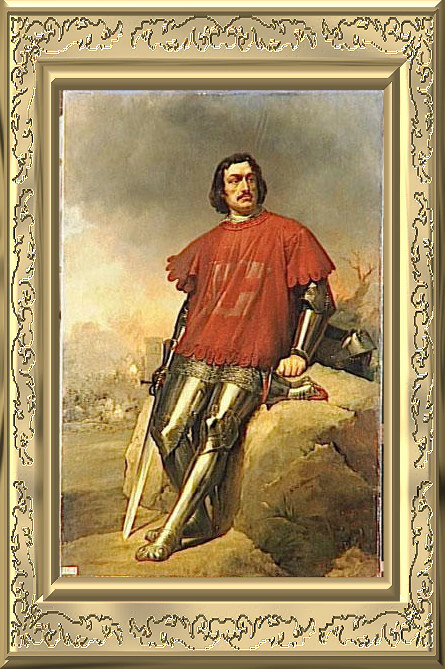 Jean Poton de Xaintrailles, a minor noble of Gascon origin, was one of the chief lieutenants of Joan of Arc. He served as master of the royal stables, as royal bailiff in Berry and as seneschal of Limousin. 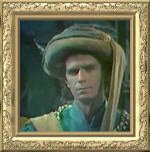 In 1454 he was appointed a Marshal of France. He served with Joan of Arc at the Siege of Orléans, and the battles of Jargeau, Meung-sur-Loire, Beaugency and Patay. He raised the siege of Compiègne. 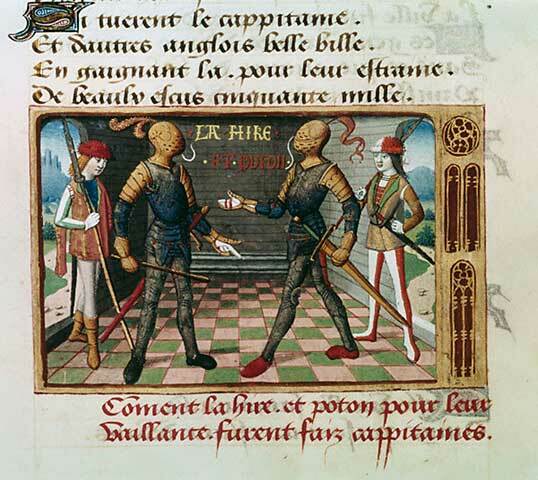 Jean Poton de Xaintrailles (Saintrailles) began as a mercenary in the service of the duke of Burgundy in 1424, but later switched to fight with the forces supporting Charles VII. He was one of the many 'freelance' warriors upon whom the French had to rely following the major defeats of Agincourt (1415) and Verneuil (1424), and prior to rebuilding a formal military organization. He fought at the battle of Verneuil in 1424, and at Orléans in 1427, where he was wounded. He was captured at the battle of Cravant and later exchanged for John Talbot. 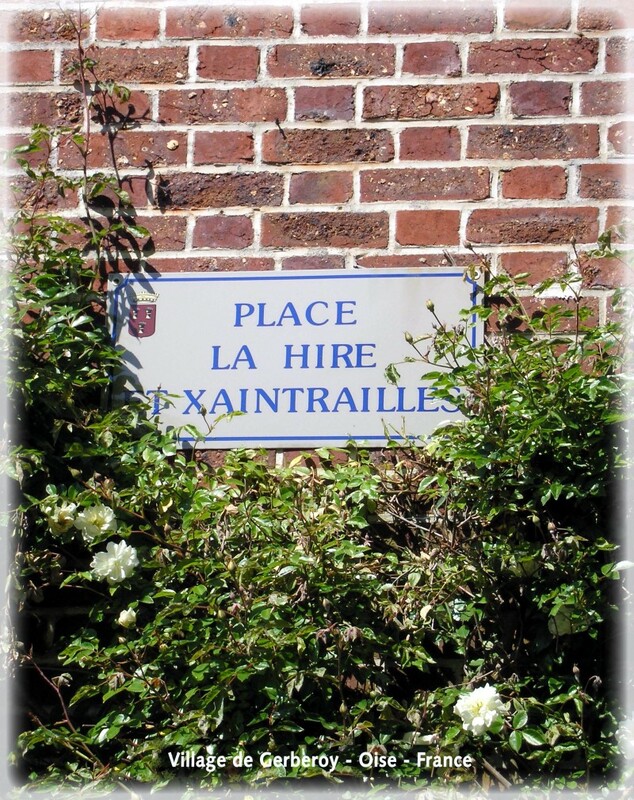 Xaintrailles often conducted operations along with another mercenary, known as 'La Hire'. 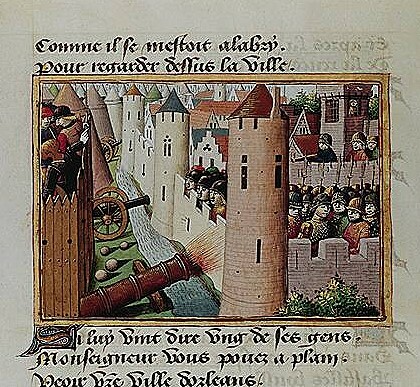 The two were captured by a Burgundian force at Mons-en-Vimeu (1421) and later ransomed. They were together again at the Battle of 'the Herrings', in January 1429. Later in the year, they joined in the Maid's Loire campaign. 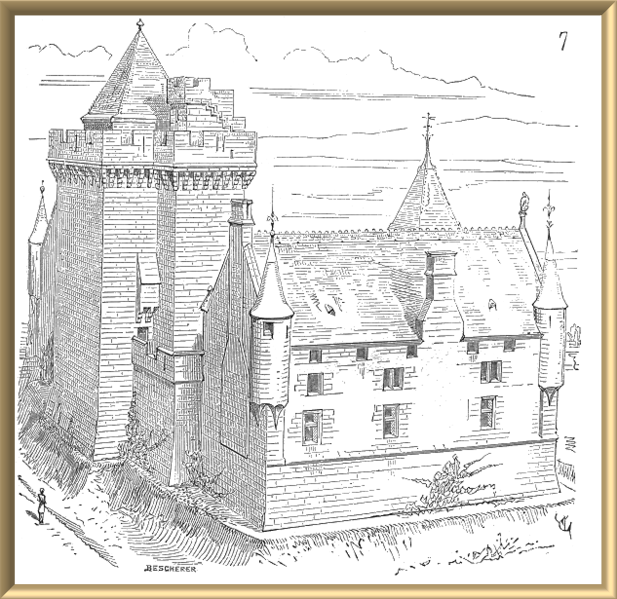 Jean de Xaintrailles was captured in March 1431, by the earl of Warwick, when his raiding force attempted to ambush the English regent, duke Bedford. Jean was exchanged for the famous English captain Talbot (who had been captured at Patay, June 1429). In the latter phase of the Hundred Years War he was active in the reconquest of Normandy and the conquest of Guyenne, often with Étienne de Vignolles, better known as La Hire, including the action at Gerbevoy. 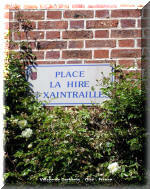 Xaintrailles campaigned with moderate success in Normandy in 1435. The Dauphin Louis [future XI] took Xaintrailles with him in the 1444 campaign against the Swiss. Jean developed from a free-booting mercenary into a reliable leader in the new armies formed by Charles VII following the 1444-49 truce in the war between England and France. When the standing army was created in 1445, Xaintrailles was appointed to command one of the twelve companies of the new army. When hostilities re-opened, Jean de Xaintrailles was a leader in the 1450 French reconquest of Normandy. Recognition of his military contribution to the reconquest of Normandy was evidenced by him being the 'grand écuyer' who bore the royal ceremonial sword, Joyeuse, in the procession of Charles VII's entry into Rouen in June 1451. 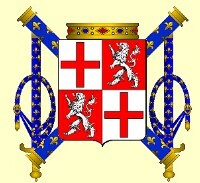 He died at Bordeaux without heirs and left his estate to the Church.